On our whistlestop tour of the Baltic states, we've found that these countries may be commonly grouped together, but they have many differences - language, currency, religion, time zones. Tallinn is the most Westernized, almost Disneylandesque: there we saw actors in armor on horseback, a bar made to look like an Egyptian tomb, and cruiseboat tourist hordes. Riga bustles with the most activity and is famous for its Art Nouveau architecture. 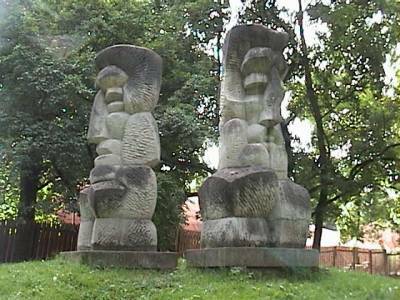 Laid back Vilnius juxtaposes religious fervor and a pagan past. 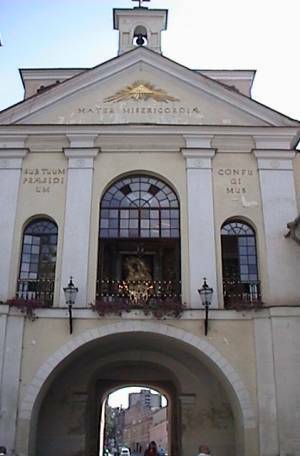 Lithuania was the last European country to shed paganism and convert to Christianity. 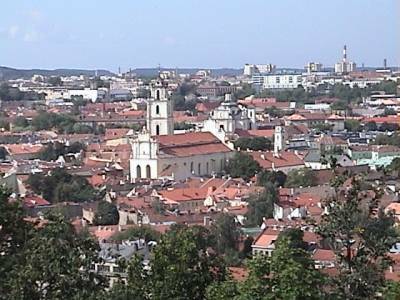 Various churches dominate the skyline: twenty churches sit on a four square block area in old town Vilnius. Just to show they're not just stuffy church-goers, the city also displays a monumental first: a statue erected to honor American rock-n-roll iconclast Frank Zappa. The current Christian, mostly Catholic, church scene. A famous icon of Mary overlooks the gate to the city.